As Vice President of Operations, Bill leads a team providing all aspects of print communications, including offset printing, digital media, complete bindery, and finishing operations. A big believer in cooperative management, Bill supports a team environment and leading by example. Bill is a qualified lithographer and holds the journeymen and craftsman certification from Local 1 Union. As well, Bill holds certification in Komori Press Operations and Management Tools. Following family tradition, Bill is no stranger to the print industry, having 31 years of experience in all phases of print communications, Bill started his journey into the printing world while still in high school, taking classes and working as a pressman. 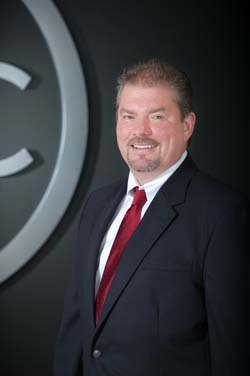 Following high school, Bill worked as a combination man in the Local 1 Union, a production manager, and a general manager, before joining Spectrum Print Communications in 2001. When not working, Bill can be found on the tennis court or the golf course, traveling, or just spending time relaxing with his family.